Belvedere Designs: April 2016 Customer Photo Winner! April 2016 Customer Photo Winner! How cool is this project? 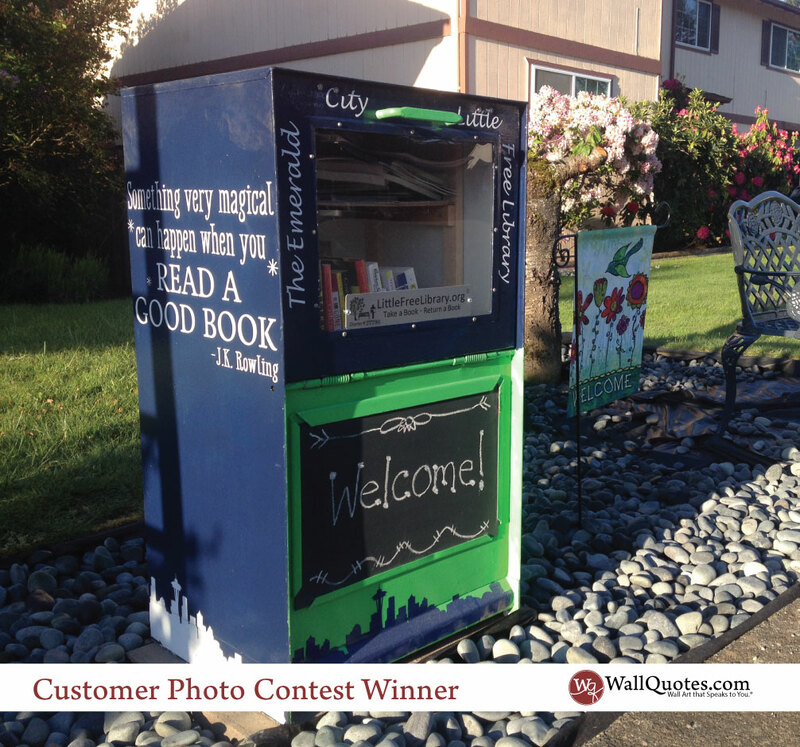 Nancy contacted us to work on a custom Little Free Library box. She loved the Read a Good Book quote we have, but needed a custom size. We were happy to edit our design for Nancy and can for you too! We also created some custom words for her around the front. This is such a great idea and I think this project turned out amazing! Who else is jealous of Nancy's local friends who get to see and use this great box everyday? I know I am!